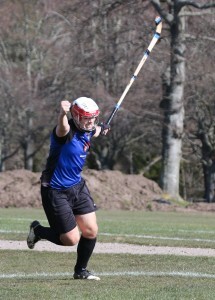 After a weather-delayed few weeks, the club finally got its Mowi North Division Two season back up in running in the best style with a record league win against a young Inverness reserves at the Bught Park outside pitch. The club gave a debut to Ryan Symonds, but it was at the front that the club excelled from early on with a first half of energy and power. Half-time arrived with no further score. In the second half, Drew McNeil rallied his squad and we could only add Ally’s score to make it six, which was matched by the final goal of the match by Inverness’ Finlay Calder. 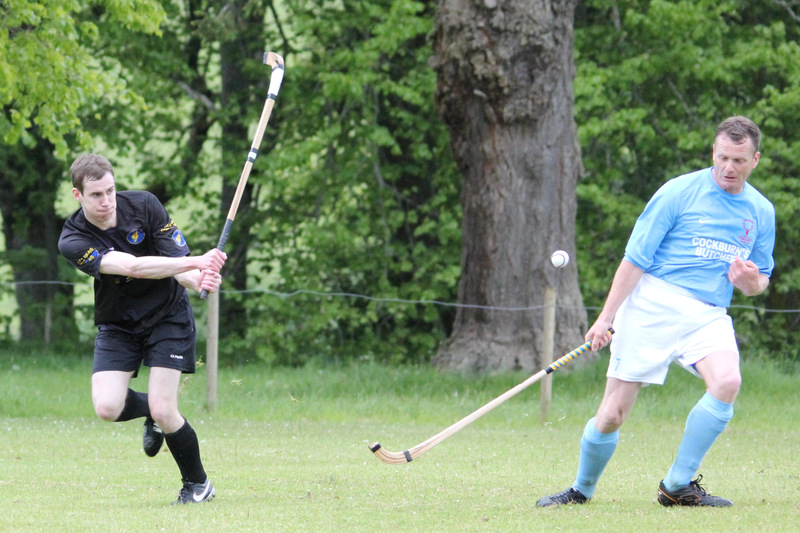 The game finished 6-1, a record score in the league for Lewis Camanachd. The club is away to Beauly next Saturday. 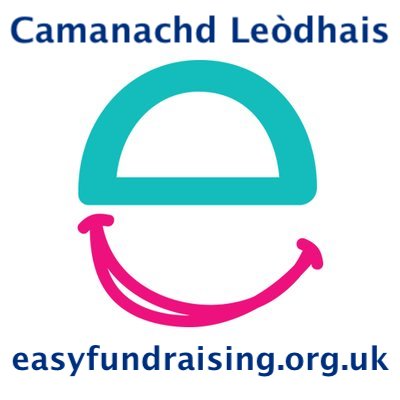 In other news, this week teh club was drawn against Kingussie away in the Sutherland Cup, this will be a first visit to the legendary Dell, and the first time the two clubs have faced each other since the same competition back in 2008, which resulted in a 14-0 defeat in the early days of Camanachd Leodhais. This week also a young Nicolson Institute team visited Skye and had a useful and educational match against Portree High School. An older and more experienced Sgitheanach squad emerged 12-0 winners but it was a good experience for all involved. The Camanachd Association marks 125 years this year since its founding in the Victoria Hall in Kingussie on the 10th of October 1893. 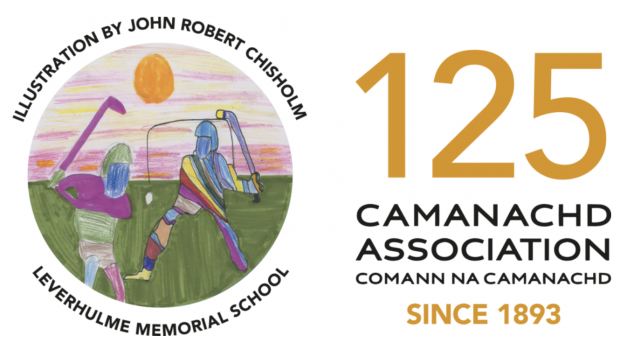 A 125th anniversary logo has been chosen after a competition, which attracted hundreds of entries, was won by primary seven student John Robert Chisholm of Sgoil an t-Òib (Leverhulme Memorial School), Harris. It is great that a pupil from our islands has achieved this honour. Congratulations John Robert from all at Camanachd Leòdhais. There are a range of events planned by the Association across Scotland to mark this milestone. One is the International Challenge match between Alba and England this Saturday (28/7) at the Dell, in Kingussie at 7pm . 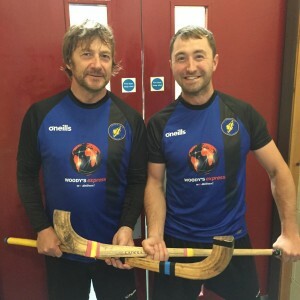 There are several Camanachd Leòdhais players who will be involved with the Gaelic-speaking team’s fixture which happens after our away game versus Strathspey at 1.30pm. Crisdean, Ally and Dukey are the first team regulars in the squad, along with Sean and Paddy who both long histories with the Alba squad. Good luck lads. The Player of the Match awards are sponsored by Isle of Harris Gin. We also welcomed our good friend Katie Drain from the Camanachd Association for a One-Day Youth Camp this week. Thanks to Katie and the CA for runnigns this event along with our local coaches. The Dubh is Gorm continued this season’s fine form with a tense 4-3 win over Cannich’s Strathglass at a wet and windy Sgoil Shiaboist. 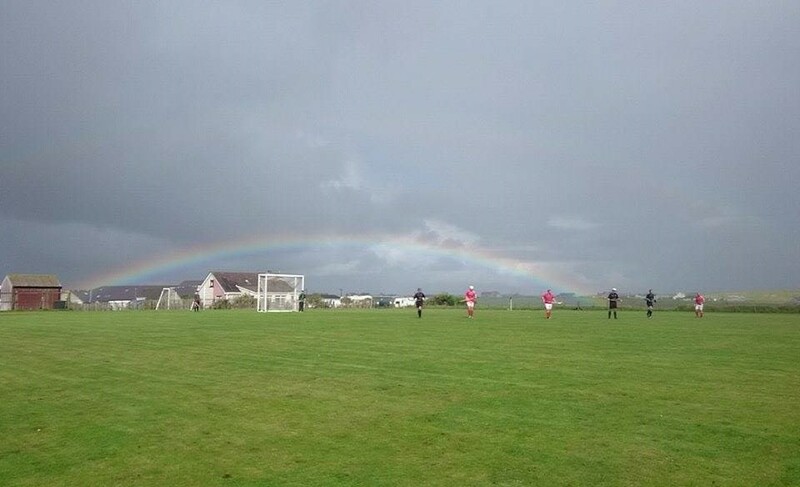 The match was sponsored yet again by Outer Hebrides Campervan Hire. The game started in fine fashion for the home fans with a Donald Lamont goal, but the game settled into a rhythm with both teams having opportunities. Strathglass would have been happy going into half-time 1-0 down when the wind would have been in their favour, but they switched off in the dying minutes to allow our boys to go in at the interval with a healthy 3-0 advantage thanks to goals from Crisdean MacRae and Ruaraidh MacMillan. Great to see Ruaraidh back in the dubh is gorm. 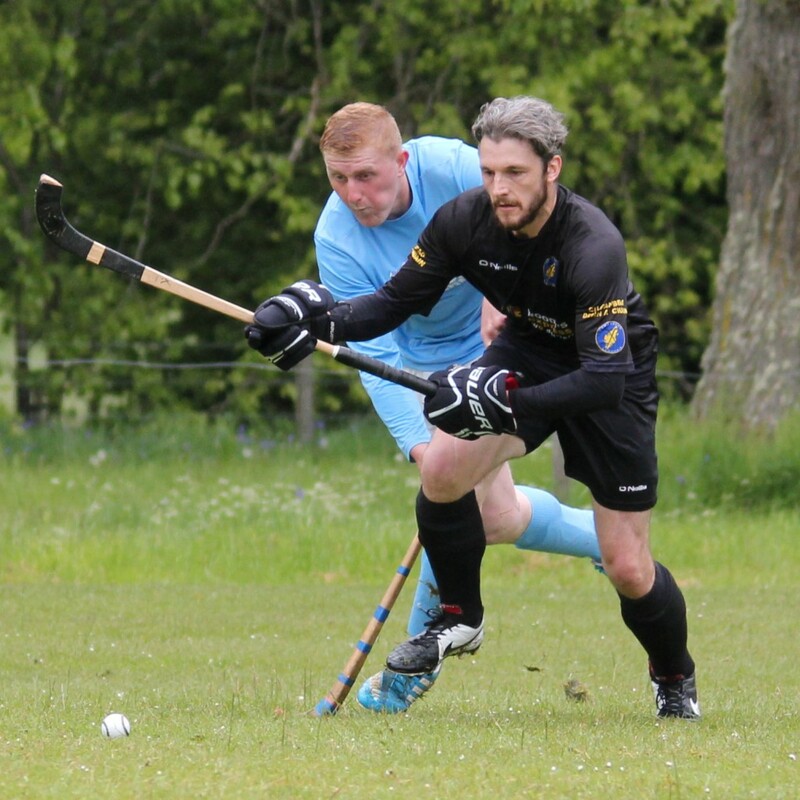 The goal advantage was crucial as Strathglass were stung into action in the second half and with a gusting wind started to make big moves on Conor’s goal, with former Camanachd Leodhais player Eoghan Stewart leading the line. Fortunately the lads held on to the advantage for a good part of the second half, until Strathglass’ Colin Birnie scored on 71 minutes. Thankfully Donald struck for his sixth of the season moments later to restore our three goal advantage but Birnie grabbed two more goals in the next ten minutes to complete his hat-trick and set up a grand stand finish. Thankfully, the grit and determination that the side has shown all season was in full evidence, and although Strathglass had a few more opportunities, the young Dubh is Gorm ground out a precious victory and push the team into 6th in the table on 11pts, one behind Lochaber. Thanks to Strathglass for coming over with a young and talented team and being part of a great game. Thanks also to all the supporters who braved the elements. Photo courtesy of Donald MacRitchie. Next week sees the annual clash with Uist Camanachd for the HebCelt Cup in the heart of Stornoway. Come along and enjoy the game at Bayhead at 2pm. Entry by donation. Thanks also to long term sponsors Woody’s Express for the smart new O’Neill’s strips which certainly seem to match the team’s newfound smartness on the park. Away win in Cannich! 4-0 to the lads! A big win and the first away win in three years! The boys played well to go in 2-0 in at halftime thanks to goals from Dukey and Gomez. 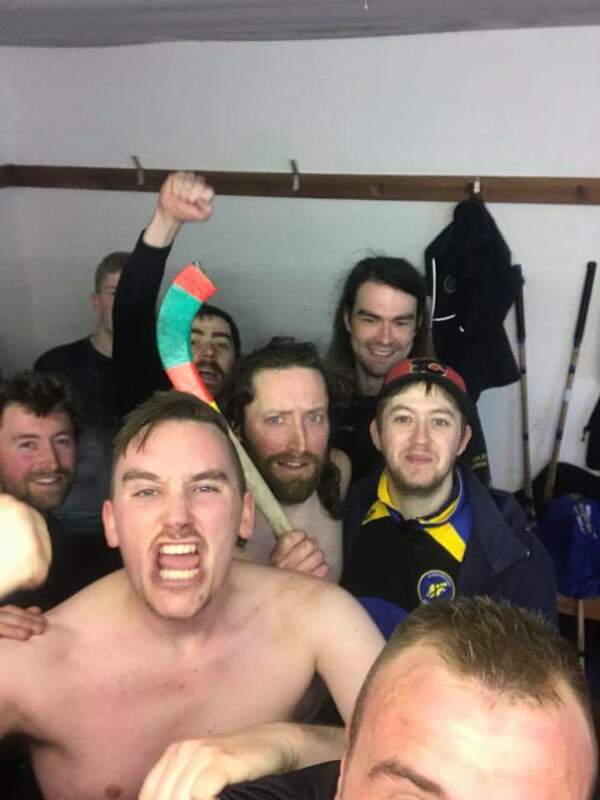 Strathglass might have felt aggrieved to go in two down on the balance of play, but we came out and kicked on in the second half with excellent goals from Donald and a screamer from Dukey. Great performances all over the park kept Strathglass at bay to secure a first win in Cannich. After a challenging league season, we signed off with a good strong 4-1 win over Inverness at Shawbost. In a great sign for the future, we finished the game with four players under-17, with Steven Morrison getting his first start, Scott continuing to play a leading role and Alexander Gordon making his first team debut as a sub. Thanks to Inverness for making the trip. However, all other successes aside, the big story was the return of Ronan Sinclair after six months out the sport. Ronan was airlifted to hospital on the eve of the league season with a life-threatening illness. This put a real cloud over the start of the season, and it was to his credit that his brother Paddy played against Cabers in the opening day game, and indeed was the only bright spot in a very poor performance by our side that day. Thankfully, Ronan returned home after several procedures but it was unsure if he would ever play sport again, having been a keen rugby player and footballer as well as his shinty interests. We were therefore absolutely delighted to welcome him back to training a few weeks ago and to see him play the final ten minutes of the game. A proud moment for Ronan and the whole Sinclair family, including father Iain “Diablo” and mother Trish. Manager Duncan MacIntyre thanked all the players who’ve contributed this season, which steadily improved after a slow start in a very competitive league. The club marks ten years as a senior club next year and we look forward to the youngsters striding confidently into that future and building on the lessons learned this year. The win gives us a better chance of avoiding bottom spot depending on results by other clubs, but the club has come to establish itself as a respected part of the shinty community. There was some movement on the scoring charts, although Donald and Scott didn’t add to their totals, making it unlikely that the bottle of whisky on offer to anyone reaching 10 goals in the season will be bought. There will be one more opportunity for those at the top of the charts to reach for the Drams when we have the Mod Cup in October. 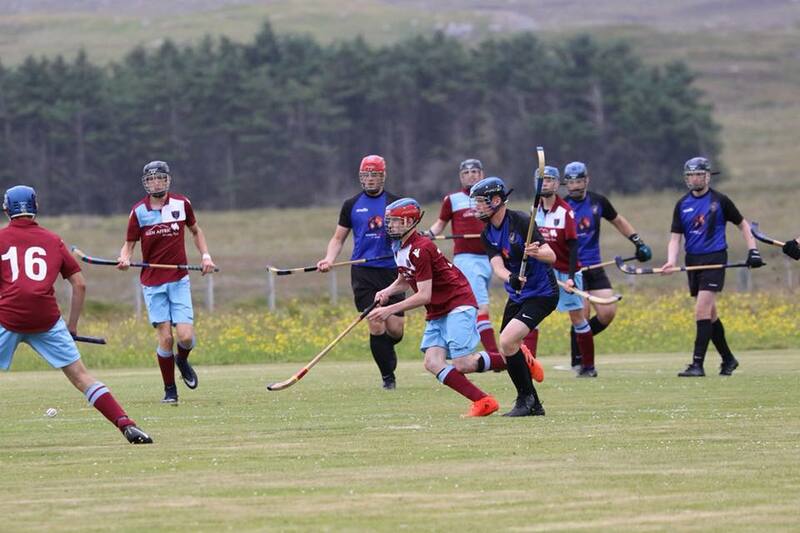 A lack of player availability for Uist has meant they unfortunately are unable to participate in the 2016 fixture, so Skye Camanachd Seconds will be taking their place, the venue is TBC but will most likely be Shawbost. Thanks to Poppy for the picture of a rainbow. 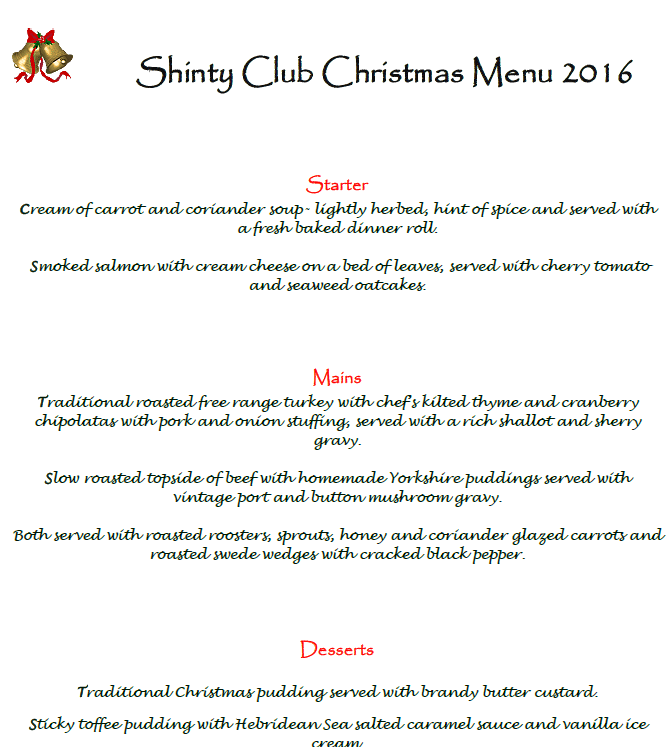 Come join the club as we celebrate an exciting 2015 season and look towards 2016 with the Annual Awards Dinner at Stornoway Golf Club on Saturday 2nd January. 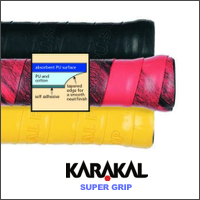 Only £20 – Contact Conor Macdonald on 07906247411 to book your spot, don’t delay. ‘S math rinn a h-uile mac mathar a bha air a’ phairc aig Caisteil Leoid Disathairne – geam air leth aig a h-uile duine. 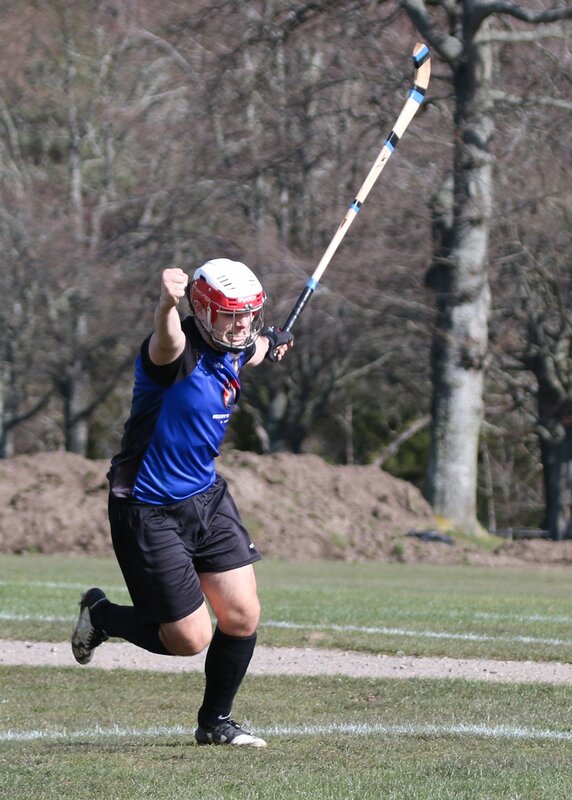 A fantastic result at Castle Leod against Caberfeidh on Saturday that can only be ascribed to a rediscovered commitment to hard training and dedication by all. Will’s early goal, his first in the league this season, was the only score of the match. It was a match full of incident with both sides failing to convert penalties (Graham Cay making a terrific save from the Cabers effort) and the posts being struck as well. Fantastic shots by Iain Cochrane @seanair_iain always grateful for shots of the team in action. Thanks to everyone for their messages of support from across the world too. An important result for the club which raises us to 7th in the table.